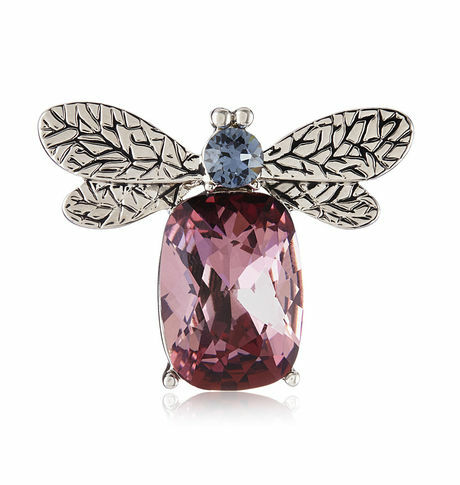 Stunning and colorful, this bee brooch will make a perfect gift. This piece is embellished with colored cubic zirconia stones and deserves to be in your collection of brooches. For an interesting look, consider pairing this buzzing bee brooch with other animal jewellery. Stunning and colorful, this bee brooch will make a perfect gift. This piece is embellished with colored cubic zirconia stones and deserves to be in your collection of brooches. For an interesting look, consider pairing this buzzing bee brooch with other animal jewellery.Cancellation and Return Policy: • Exchange allowed post booking • No order cancellation or Refund transaction allowed at the store.